If you love celebrating Thanksgiving, you're not alone. Many Americans do: It's a time where friends and family get to come together, talk, and feast. There's just one problem with this holiday: It takes a huge toll on the environment. Between all the traveling, food, and waste we produce in this one day, it's hardly sustainable. 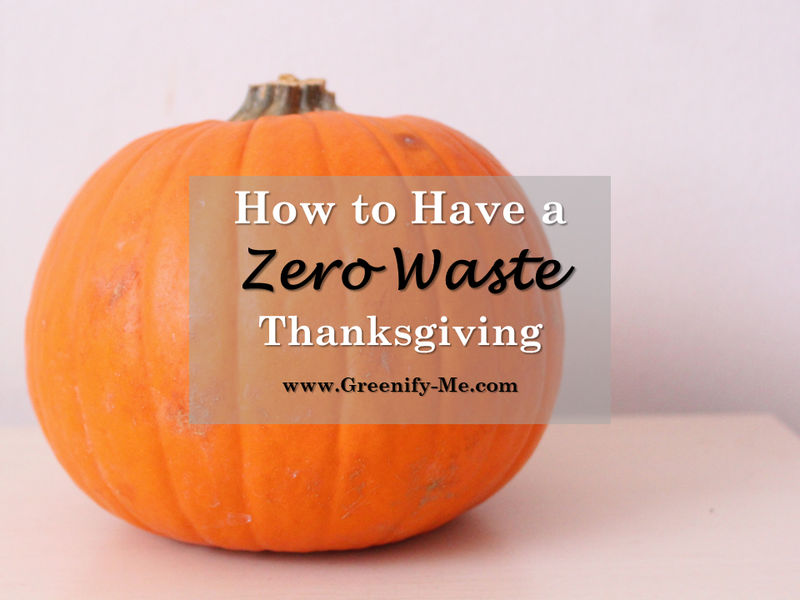 That's why I've devised this simple guide to help you turn this holiday around: Here's how to have a zero waste Thanksgiving! I want to host a zero waste thanksgiving - what should I do? First off, I think it's great you want to host a holiday at your home! Honestly, it's better off you stay local and don't travel on this holiday. The less cars on the road the better. The amount people travel via car, train, and airplane this holiday takes a huge toll on the environment. In 2015, 48.7 million Americans traveled on Thanksgiving: Can you imagine the amount of pollution that must have added to the environment? After all, according to the New York Times, one round trip flight from New York to Europe or San Francisco creates a warming effect equivalent to 2 or 3 tons of carbon dioxide per person. The best way to have an zero waste Thanksgiving is still to stay home and host dinner yourself. There, you certainly have the most control over the amount of waste being created too (because it's your house). You can run things the way you see fit. 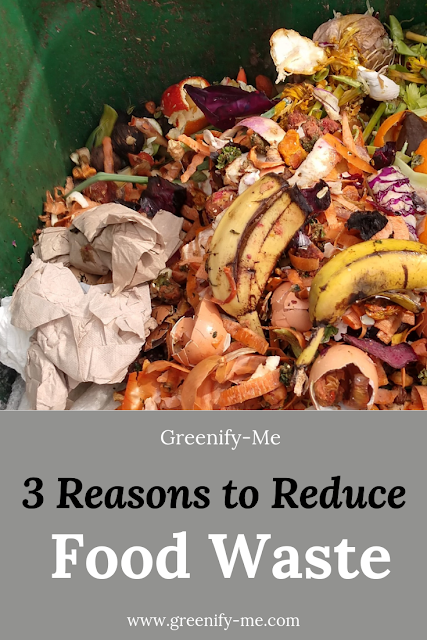 Here are several tips I have for you to make your thanksgiving as waste free as possible. Shop local: Visit your local farmers market to pick up some fresh produce for your dinner. The food there didn't have to travel as far to get to you either, which cuts carbon emissions down even more. To keep things as plastic free as possible, bring reusable produce bags and tote bags with you to the market. Just plop the fresh produce into your produce bags, no single use plastic needed. Here are my zero waste farmers market essentials (they keep me waste free at the market). 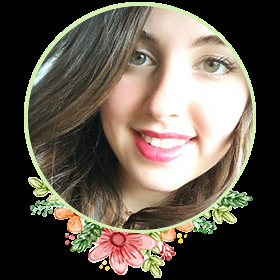 ▪ Meal ideas: Personally, I love stuffed mushrooms, mashed sweet potatoes, stuffed artichokes and roasted veggies. You can find so many meal ideas on Pinterest it's not even funny (feel free to follow my zero waste recipes board for some inspiration). Keep things simple and try to use seasonal, locally sourced produce in your meals whenever possible. Usually, during this time of year, you can find carrots, brussels sprouts, broccoli, cauliflower, sweet potato, apples, pumpkin, butternut squash, winter squash, potatoes, parnsips and turnips at the farmers market. Utilize that to your advantage and whip up some amazing seasonal dishes! Here are two vegetarian mains from Going Zero Waste that will really get your guests talking. ▪ Serve in glassware or ceramic: When it comes time to serve all the food, consider putting it in containers with lids. I personally love glassware with snap on lids. It makes for easy cleanup and you can immediately pop any leftovers straight into the fridge. Sustainable turkey: Really want a turkey? Purchase one from the farmers market, if there's a meat stand there. Usually you'll have to order it ahead of time, but it's well worth it. If you can't get one from the farmers market, buy an organic one. Turkeys are usually given hormones to speed their growth and eat feed grown in pesticides. Yuck. Plus they're given a slew of antibiotics (doesn't exactly sound appetizing). At least with an organic turkey, you know it was raised without hormones, antibiotics, got to graze in open pastures, and eat feed free of pesticides and synthetic fertilizers. ▪ Or skip the turkey: If you really want to have an zero waste Thanksgiving, ditch the turkey completely. It's typically very hard to get any kind of meat completely plastic free anyway, since it usually comes wrapped in plastic film. Worse than that though, an estimated 46 million turkeys are killed each year for Thanksgiving alone. Raising livestock requires a lot of resources: Their water footprint is incredibly high compared to plants (think about the water needed to make their feed, wash them and hydrate them with). Plants on the other hand, don't have nearly as large a water footprint as meat, making them undeniably better for the environment. Not to mention, most of the turkeys killed are not raised organically either, but instead treated cruelly in inhumane conditions. Consider avoiding turkey this year, and instead focus on creating a plant-based feast. Break out the fine china: Americans create 4.4 pounds of trash per day: That's 1,600 pounds per year. Lets cut back on that by choosing reusable cutlery, plates and napkins this holiday (and hopefully, every day!). Avoid purchasing single-use plastic plates, cups, utensils, and napkins to use. Instead, pull out some silverware and chinaware you don't normally use. Maybe that set that's been sitting in your drawer or cabinet for a while? Or, just use the regular ceramic plates and stainless steel cutlery you usually eat on. As long as you can reuse it, do it. This will create the perfect zero waste Thanksgiving. ▪ Napkins: You might not have reusable napkins available in your house at the moment, but use this opportunity to get some. You can buy some online (cotton napkins lined with earth tones are perfect for this time of year) or look for some in stores. There are some really pretty reusable napkins available that will add a lot of charm to your table. You can even get some napkins with cute fall leaves on them, or cornucopias. Or, you can get them in solid colors, which might make it easier to reuse no matter what the occasion. If you're talented, consider making some from scratch (old shirts or fabric from a craft store work well). You can wash all of them with your laundry when the day is out, or hand wash them, if you'd prefer (here's my favorite zero waste laundry detergent). ▪ Drinks: Also, please don't use bottled water at your Thanksgiving celebration. There are so many reasons why you should avoid plastic water bottles: Just use filtered tap water instead. If you buy any other drinks for the occasion, try to make sure they're plastic-free and come in a glass bottle (ex: Wine, beer, champagne). Glass is so much easier to recycle than plastic. Check and see if your local farmers market sells any wine or beer (my farmers market just recently expanded to include a wine guy! His wine is locally made - what could be better?). Whatever you decide to serve, make sure to put it int reusable glass cups. Decor: Instead of purchasing a bunch of plastic decorations that will just end up in the landfill, I recommend going the natural route. Purchase a few gourds, pumpkins, candles and earth tone flowers instead. Chrysanthemum flowers are very popular this time of year, and you can find them everywhere (challenge yourself to try and find some plastic free). You can get as creative as you like, however, simple is best. At the end of their life, you can compost all these decorations (or in a pumpkin's case, make it into pie or soup first). 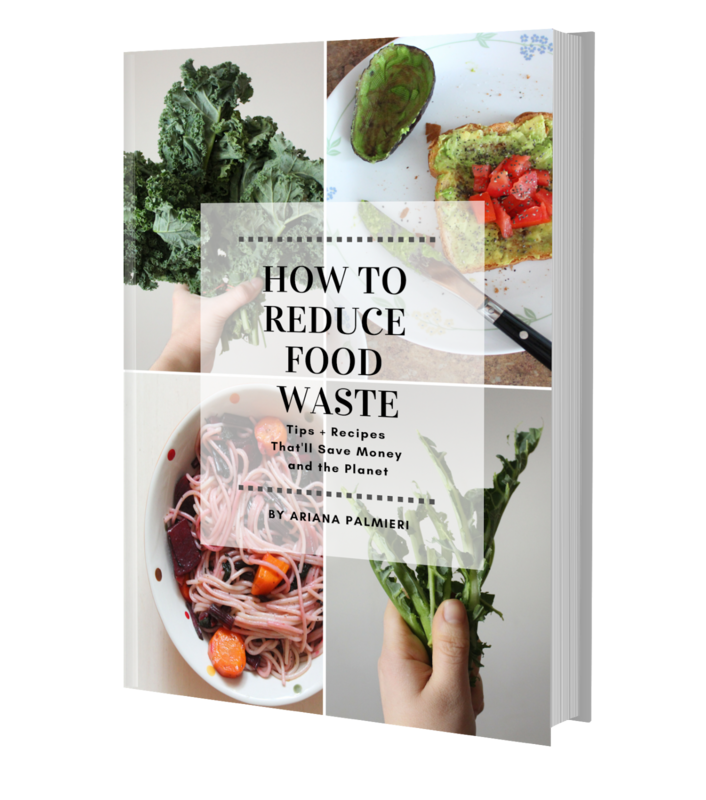 Compost the food scraps: Food waste is a serious problem in the U.S. Two-thirds of the food discarded in the U.S. homes is edible, according to a study done on three major cities: Denver, Nashville, and New York. Essentially, this could add up to 68 million meals being thrown away in these three cities alone. Isn't that crazy? Imagine what Thanksgiving would look like in these cities, considering most people cook too much food on this holiday. Not a zero waste Thanksgiving at all. Thankfully, there is a solution: Compost your food scraps! Don't let them go to waste. I save my food scraps in my apartment and take them every weekend to the farmers market. They have a food scrap drop off there where they turn it into compost. There's probably one near you too! Or, if you have enough room in your house, consider composting at home. Have a friend that's a gardener? Give them the compost your food scraps create. Or, look around your local community: See any trees lining your streets that need a little extra nutrients? Dump some compost in their soil beds. Most of the soil in trees planted near roadways aren't exactly fertile: Giving them some compost is a great way to help them out! ▪ Save the leftovers: Of course, the alternative is to save your leftovers for another day, or give some away to your guests. But whatever scarps don't get eaten, make sure to compost! Doing this will make sure nothing goes to waste. Phew! That was a lot of tips! I hope they help you host the best, most amazing zero waste Thanksgiving ever. I want to have a zero waste thanksgiving as a guest - what should I do? Not hosting a Thanksgiving feast? No worries, neither am I. Sometimes my folks and I will host Thanksgiving at our place, but its been years since we've done that. Usually we wind up going to my aunt's house which is relatively close by. I recommend trying to stay as local as possible for holidays. Traveling far distances produces a lot of pollution, so going long distances isn't recommended. But there is good news: According to a study done by the International Institute for Applied Systems Analysis, there are ways to travel in a more eco-friendly manner: Try to avoid flying, driving alone, and driving big cars. Instead, when you can, choose the train, bus, or carpool with 2 to 3 people. On another note, please remember that you'll be dining as someone's guest. This mean you'll have much less control over how wasteful things get. That said, there are still things you can do to make your Thanksgiving as low waste as possible. Ask for reusables: If you notice the hostess has set the table with disposables, try not to get worked up. Instead, calmly and politely ask the hostess if you can have a real plate, utensils and cup. Offer to wash it yourself at the end of the night. I've done this several times and have never been told no. As long as you ask politely, they should be open to it. Use it as an opportunity to talk about zero waste living - it could start up a great conversation! Arrive with a hostess gift: Showing gratitude and appreciation for your invite to dinner is so important. I love hostess gifts. Keep them as zero waste as possible by sticking with locally sourced wine in a glass bottle, plastic free flowers, or fresh baked consumables (like cookies, brownies or a cake). You have full control over this gift, so you can take comfort in knowing it's eco-conscious. Bring a dish of your own: Whenever Thanksgiving rolls around, it's polite to ask your hostess if she needs any help making some of the dishes. Perhaps offer to cook one yourself and bring it over. You have full control over this dish, so I suggest going to the farmers market and buying the ingredients for it plastic free. Use a produce bag and some reusable totes to gather your ingredients! Then, when you're ready to bring it over to the hostess' house, place it in a reusable container. Even if all you have is Tupperware, it's better than nothing. You can also use glassware, or put your meal on a big plate, covered with beeswax wrap. Don't forget to take it home with you at the end of the day! Ask if you can take some leftovers home: If you feel comfortable enough, or notice the hostess is swamped in leftovers, ask to take some home. You can reuse them in other dishes, or eat it for dinner or lunch sometime next week. Good food should never go to waste! Consumerism would have you believe Black Friday is the most important part of Thanksgiving. Sadly, for some people it is. But my advice? Avoid it. A good deal is tempting, but at what cost? Consumerism can seriously hurt the environment. especially when its done in massive quantities, like on Black Friday. By being lured into a good deal, you're more likely to buy things you don't necessarily need. Things that will, eventually, be lost, thrown away, and end up in a landfill. Is that what you want? Think about what you buy, before you buy it. If you really can't resist a deal, wait until Cyber Monday and do your shopping online. A study showed Black Friday is fifty times more carbon intensive than its online counterpart: This is because most of the CO2 emissions were coming from the gas used by consumers getting to and from stores. So if you really want to have an zero waste Thanksgiving, wait for Cyber Monday (or, better yet, purchase nothing on both days). I hope this guide helps you have a zero waste Thanksgiving! Please make sure to do your part to make the holidays as waste free as possible. Leave a comment below and let me know how you like to greenify Thanksgiving. Great article girl!! We had an Amish turkey this year. You know they don't use any nasties to care for their birds so I really enjoyed my dinner. My dad likes to compost. Hope you had a joyful Thanksgiving!